How To Join AIM Global South Africa On Pioneering Stage! AIM Global or Alliance in Motion Global is really serious about making a massive expansion in many countries by opening 2-3 branches per year. In Africa, the company is making a massive sale, membership and fast expansion. In this post, I am going to discuss how to join in AIM Global South Africa as one of the pioneers. If you are from this country and you wish to know more details how to become a distributor, you came to the right post. What does AIM Global offer? AIM Global offers time and financial freedom provided that you will do the right system that this business has. The proven system that already turned 5,000+ people worldwide into extraordinary millionaires. This number of people is increasing every day as the company expands to many countries. A massive expansion by opening 2-3 countries per year. If you are in Congo and you will join AIM Global today, what would be your life like in the span of 2-5 years from now? I know that your life will never be the same again if you will not stop working for your goals and dreams in life. AIM Global is the right vehicle to take you to success! 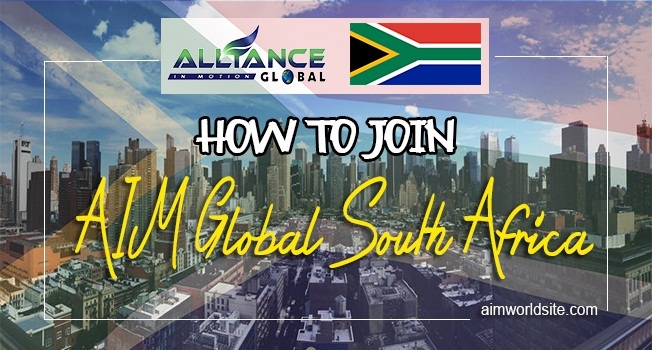 How to join AIM Global South Africa? AIM Global office branch in South Africa is not yet open but it was already announced AIM Global’s Visionary President & CEO Doc Ed Cabantog that it will be opening in 2017. You may come back to this post for the updates soon. To become a distributor of AIM Global if you are in South Africa, you will just need a sponsor or the person who will assist you. If someone has already invited you to join AIM Global, please contact them now. To become a member from South Africa, you just need to buy the Global Package for membership. Kindly see this package below. The business capital is ZAR 2,980 and we will ship to you your package from AIM Global Head Quarter to South Africa. I will make sure that you will have the proper assistance and fastest help possible. Please contact these details below. After you bought the Global Package, your account will be registered to AIM Global web page. You will have your own AIM Global account online where you can monitor the business 24/7 online. We will also provide you free training and support. Why join as soon as now? 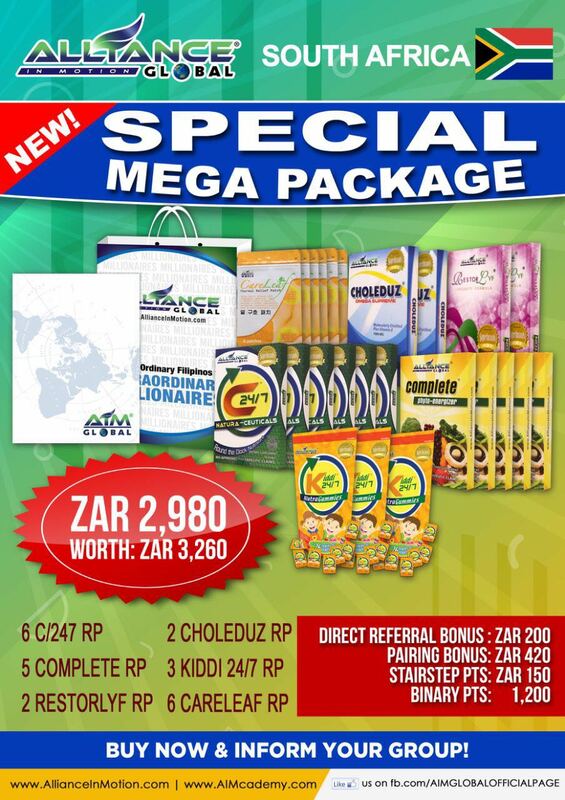 While the AIM Global branch is not yet open in South Africa, it is to your advantage to start as prior to the official opening because you can get have the biggest group in the fresh Market of South Africa. Imagine that you have the biggest group. You could become the top earner for AIM South Africa.